The sun had just gone down on the unlit country road I was tooling down on the way home with the 4X4 Jeep’s top down. My attention behind the wheel is more focused on the cool evening wind and the bright screen of my iPhone that had just chimed from the center cup holder. I grab it to glance and in a split second I look up to see two joggers smack dab in the middle of the narrow road in my path about a hundred feet ahead. I jam the brakes firmly and at the same time I gasp. My heart is pounding at the near miss. The couple running had no idea why I let out a sigh of relief. They both had their backs to me and were jamming to tunes flooding their ear buds. As I slowly passed them on the side, they gave a big smile and wave. I waved back hoping they don’t notice the nervousness and shock in my smile. A few beats more looking down and that nice wave from the sweet neighbors would be a completely different story to tell and a life full of regret and misery. If you find yourself in a car accident and it wasn’t your fault, then it might be a good idea to get a lawyer involved (such as these Stamford car accident lawyers). If you got injured in your accident then they can help you with getting some compensation. That’s the last time I thought Texting and driving was something I could juggle with care. 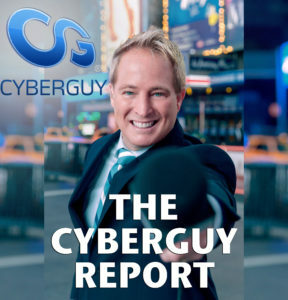 I’m a bit reluctant to point out that here I am a national technology correspondent and the couple I nearly creamed were both “A” list movie stars. They didn’t need to be celebs for me to be sick to my stomach. For the next few days I kept a freely flowing faucet of what-ifs in my head.. inventing every horrific headline that was ever so close to being a reality. Most people have their close calls yet still continue putting digitial distractions in charge instead of focusing on the road. Every day 9 people lose their lives and more than 1,153 are injured in crashes reported to involve a distracted driver according to the CDC. This next figure is sobering. A person texting while driving is 6 times more likely to cause an accident than someone driving drunk. Despite this, the amount of people being arrested for drunk driving is significantly higher than people who text and drive. 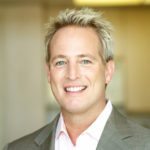 This is why there are people like this Liberty Bell criminal attorney los angeles ca to protect the rights of those accused of drink driving. Three technologies could be the lifesaver to turn this suicidal idiocy around. The first one I’ve got my eye on is being embraced by Detroit as Ford is joining with popular family social app Life360. That’s the app best known to help family members share with one another. Combined with Ford Sync technology the fam and others won’t bother you with distractions from the chime of a fresh text message hitting your smartphone when you are driving a Ford Sync powered vehicle. The Life360 integrated app will let others know you are driving and will deliver you message when its safe. When stopped the messages begin flowing again. The Aussie’s behind the innovative attention sensors from SeeingMachines built into a steering wheel or mounted on the dash can detect when your eyes stray from focusing on the road. Not only will it help by warning when distractions like your smartphone are about to create a dangerous driving scenario, SeeingMachines also is a powerful breakthrough in detecting when fatigue starts effecting drivers before they know sleepiness is impairing their focus. Hollywood’s Jeffrey Katzenberg from DreamWorks was memorized by the Jaguar F-type demo stealing the focus at the Intel exhibit at CES 2015. Of the three texting and driving technologies, CellControl is the most practical system you can put into play right now. The DriveID wireless hardware device attaches on your windshield under the rearview mirror and automatically recharges with built-in solar strips. 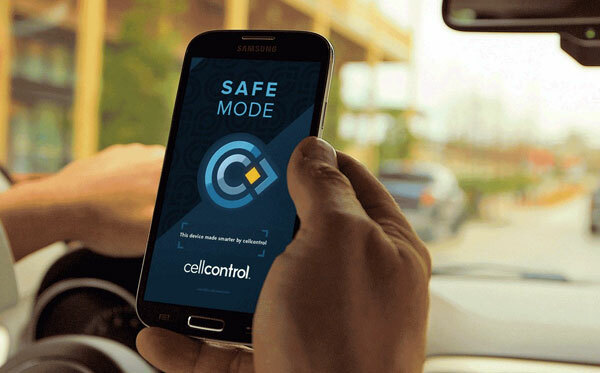 It works seamlessly with the intelligent CellControl app for iOS and Android to enter safe mode when the driver is behind the wheel. Parents can get detailed reports on how distracted their kids are when driving. 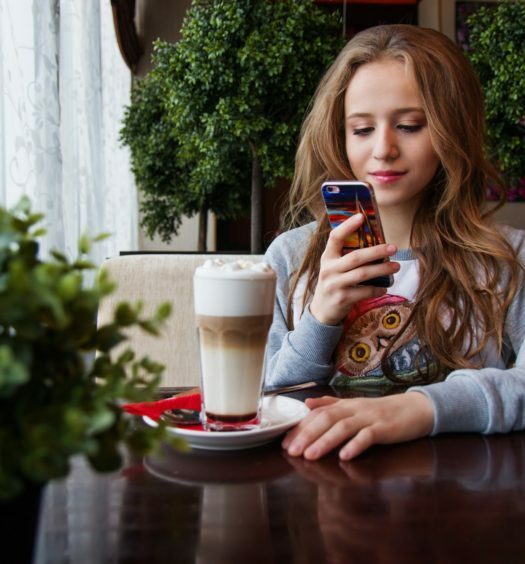 Creating your own family texting policy can be enforced by setting when you want to allow through to a smartphone when the driver’s phone is in motion. 911 calls are always accessible. At $129 for the hardware and free app, the folks in Baton Rouge-based CellControl have a winner on their hands. 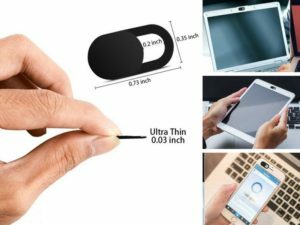 Technologies that help curtail driver distractions will cut down on accidents, CellControl and these two others could be the best move to save your life. App and hardware DriveID for $129, DriveID windshield device, solar powered, blocks driver, let’s passenger use smartphone; parents setup policy and get report each time child drives. 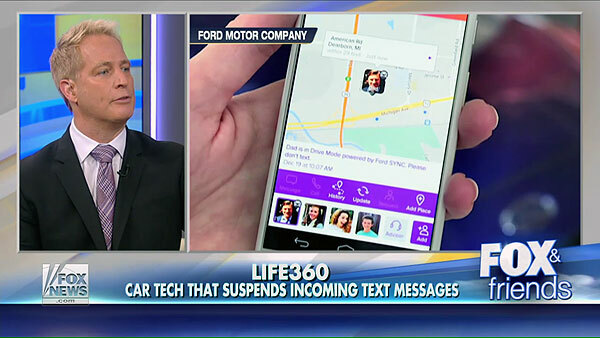 Life360 app made for Ford vehicles suspends incoming texts while you are moving in a car. When stopped, the messages flow. 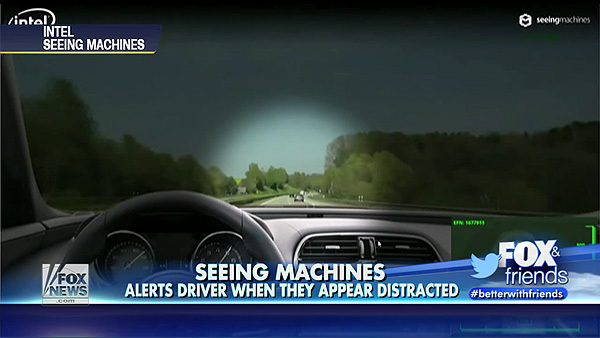 SeeingMachines with Intel is developing a face-tracking camera that knows when a driver is distracted from the road. When driver looks at text while driving just as another vehicle pulls in front, the system will issue alert ranging from a message, shaking brake pedal and seat.